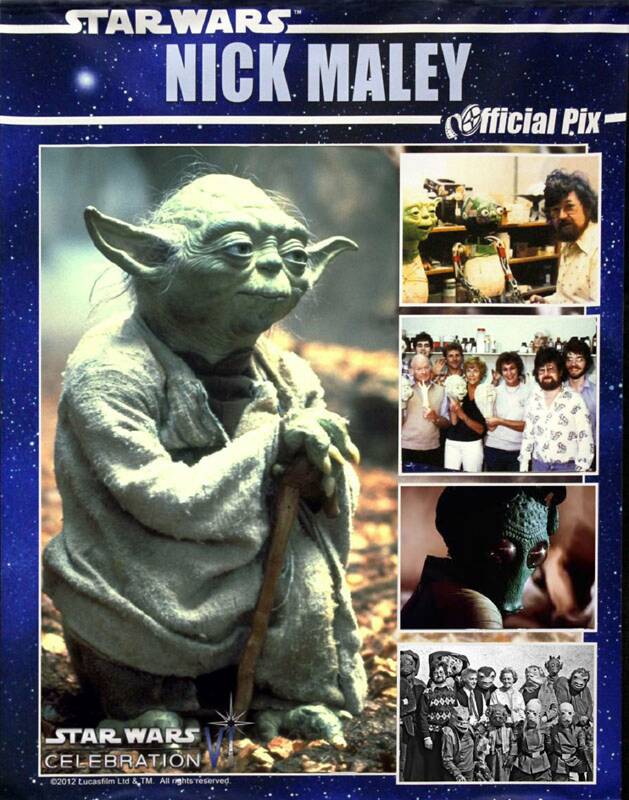 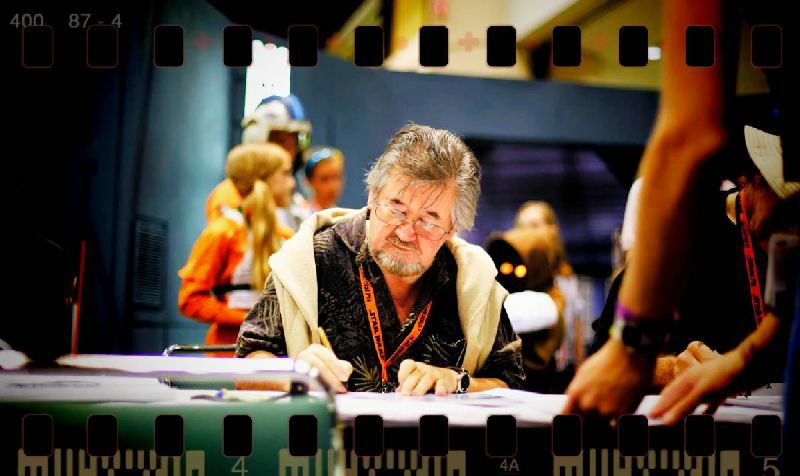 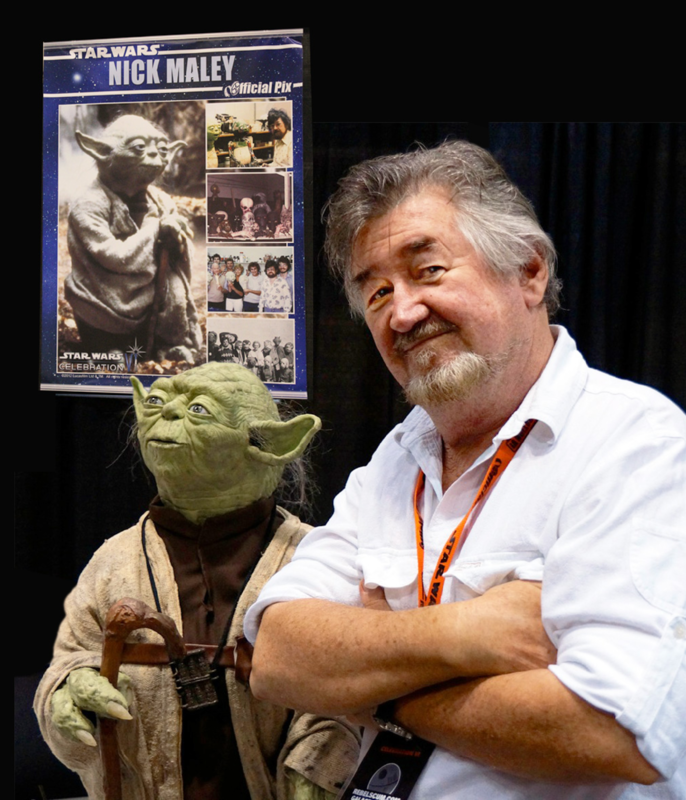 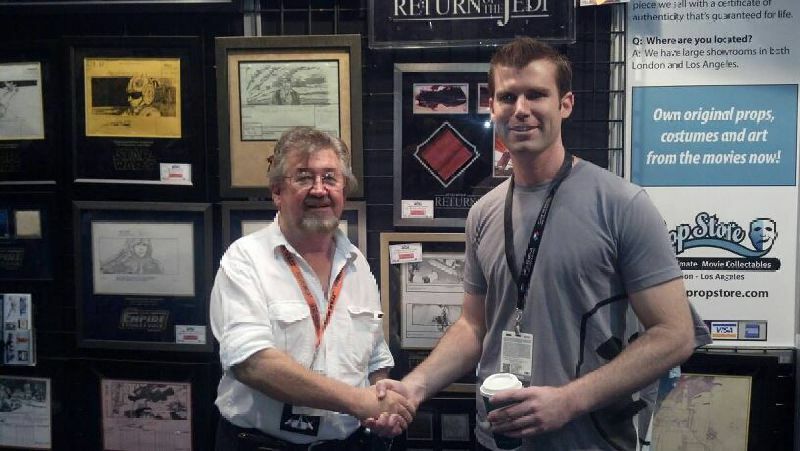 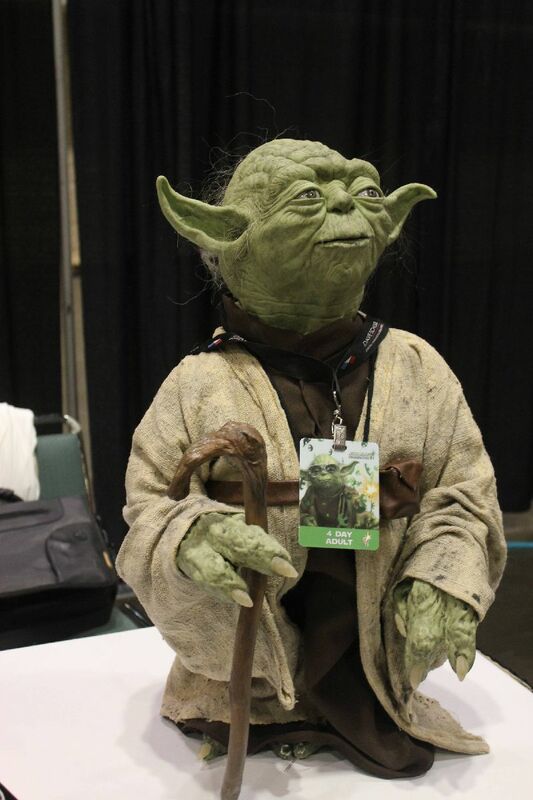 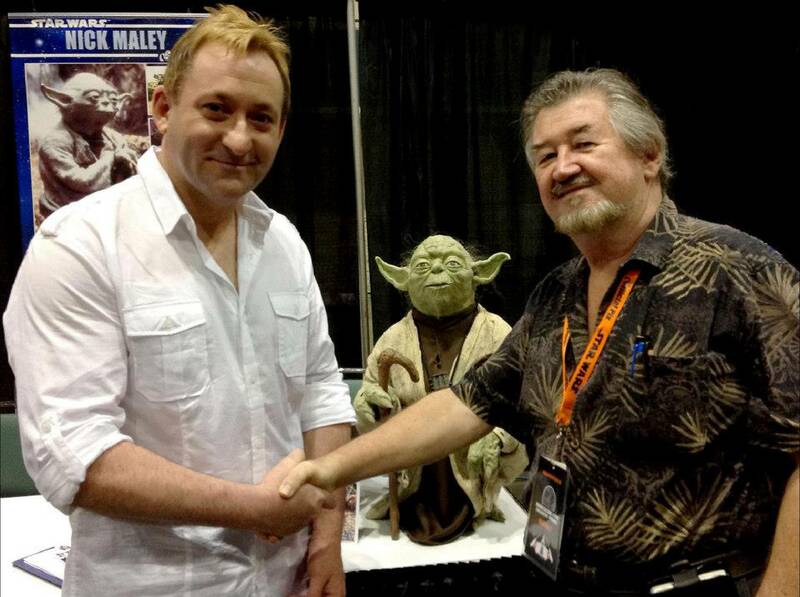 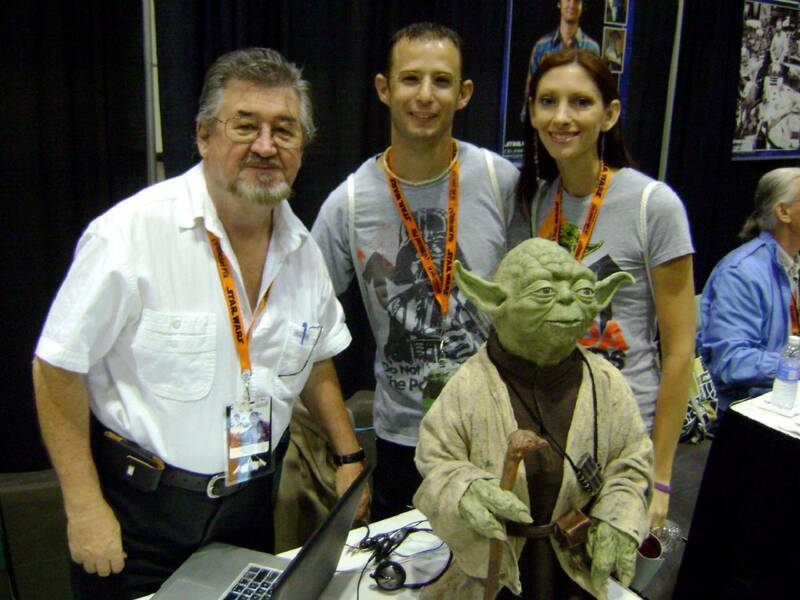 STAR WARS CELEBRATION VI, Orlando Florida: Nick Maley was an autograph guest at CVI and took with him a Yoda made by sculptor Phil Robinson after years of discussion with Nick. 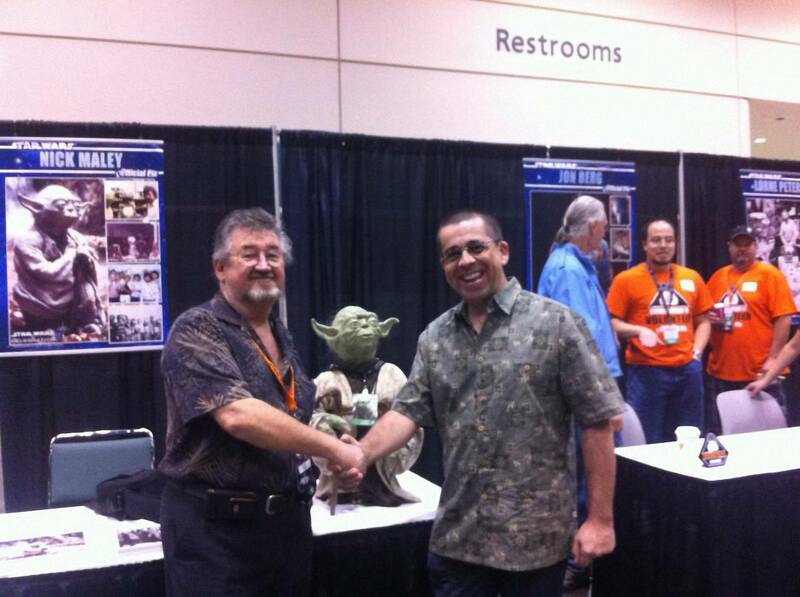 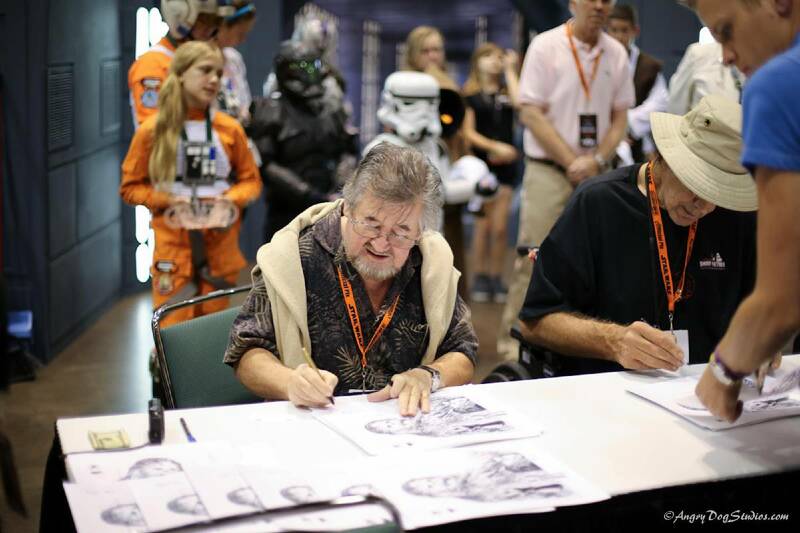 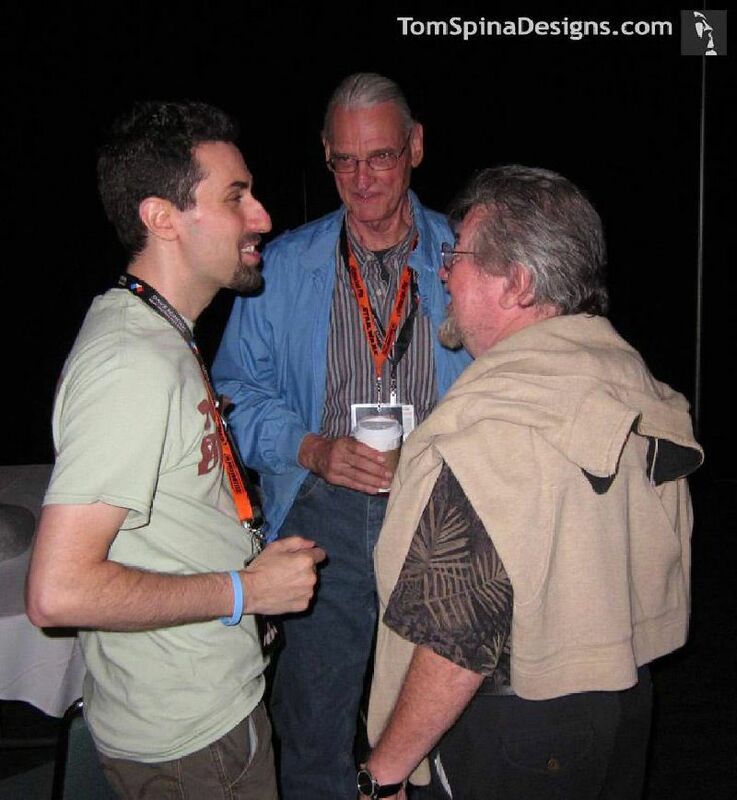 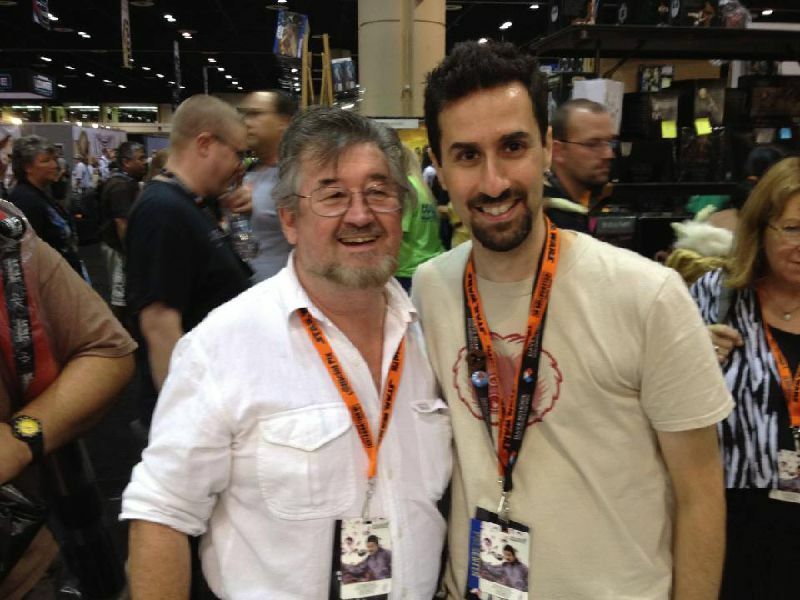 There Nick met up with old friends, Peter Mayhew (Chewbacca) and Mike Quinn (Nium Numb and Yoda puppeteer). 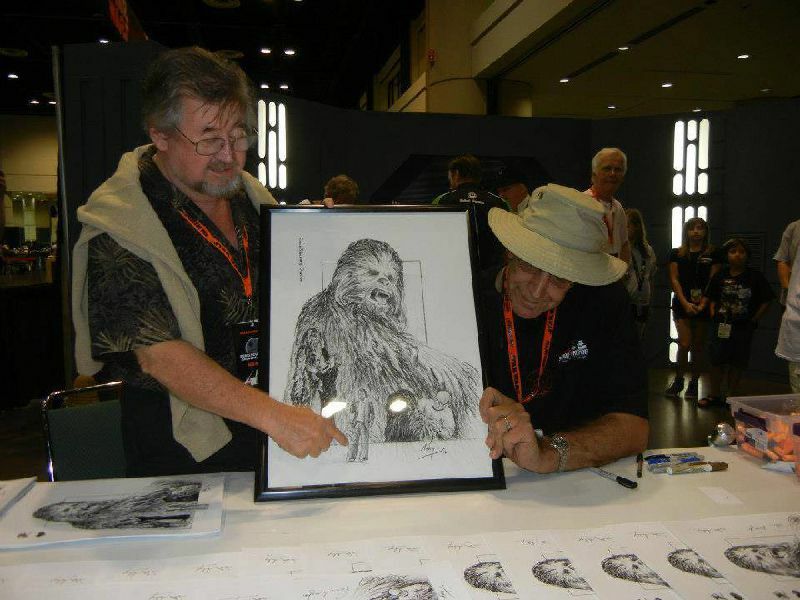 Nick and Peter signed some of Nick's prints to be sold for charity, Peter took the original sketch to hang in his house in Texas. 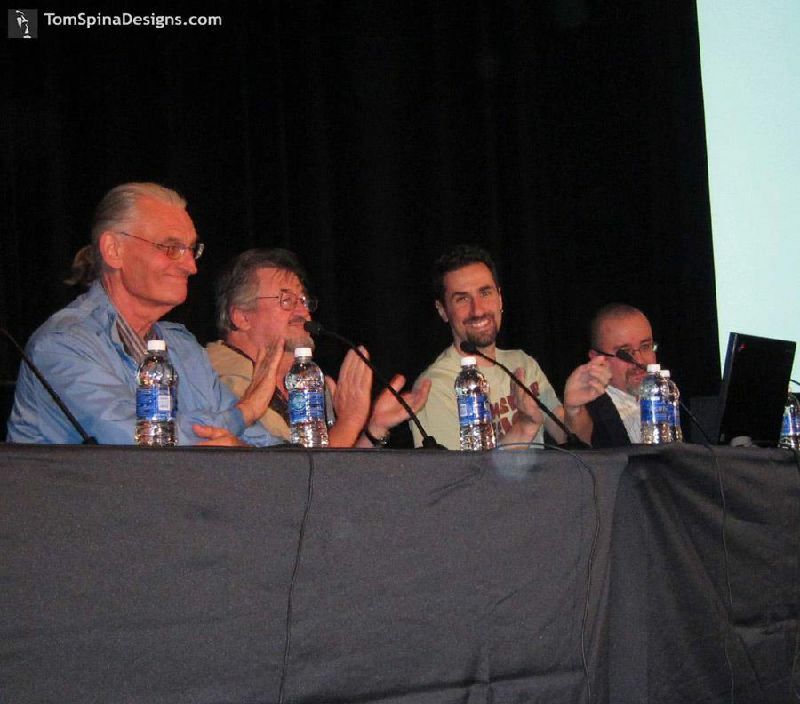 Nick took part in a panel about The filming of the Mos Eisley cantina with Star Wars veteran Jon Berg, hosted by Pablo Hidalgo and Tom Spina.